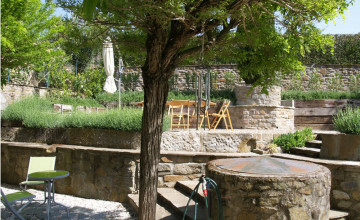 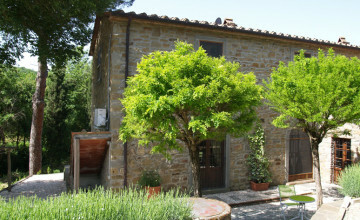 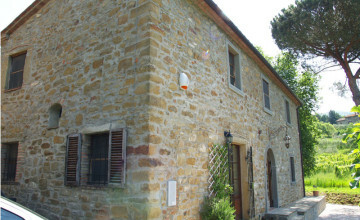 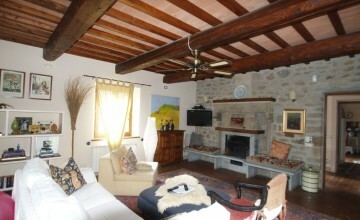 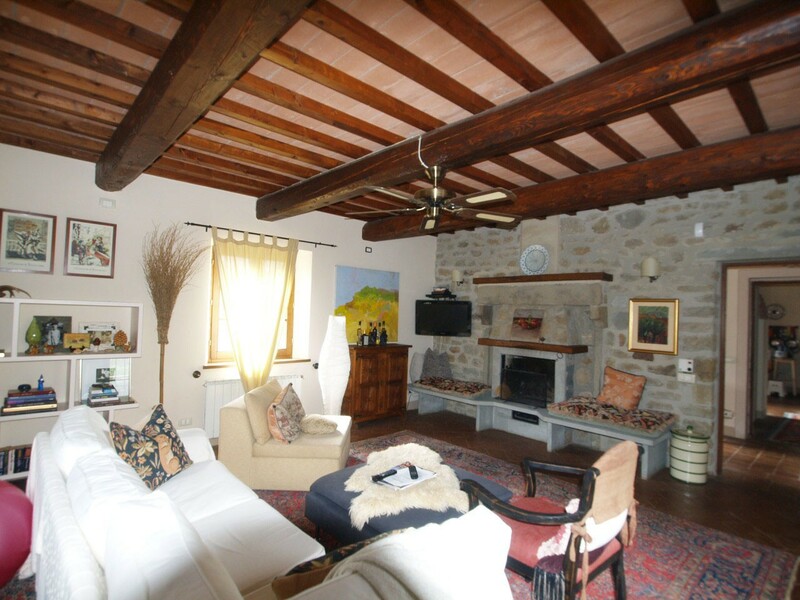 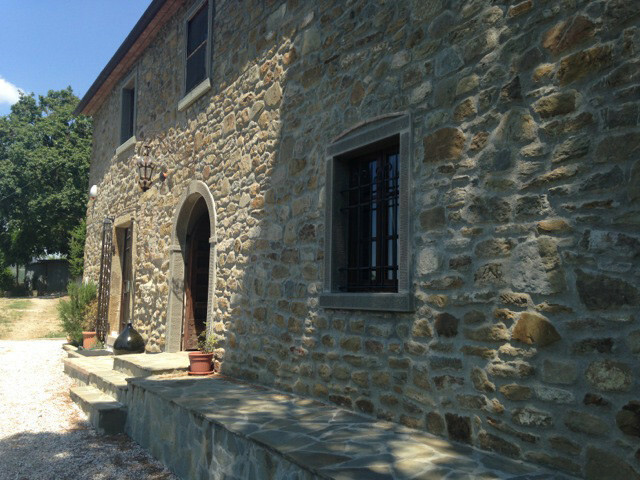 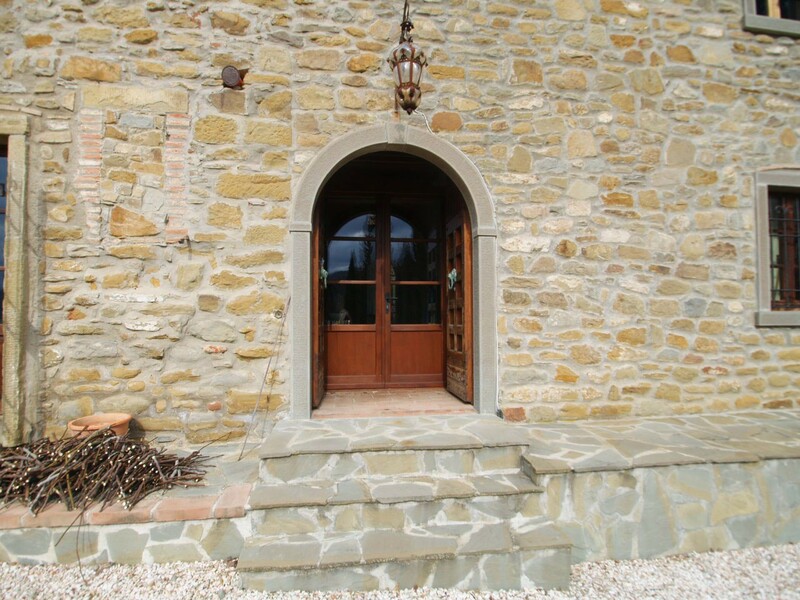 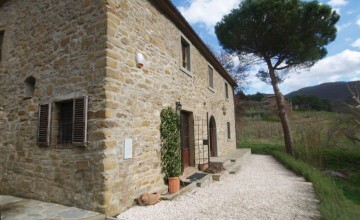 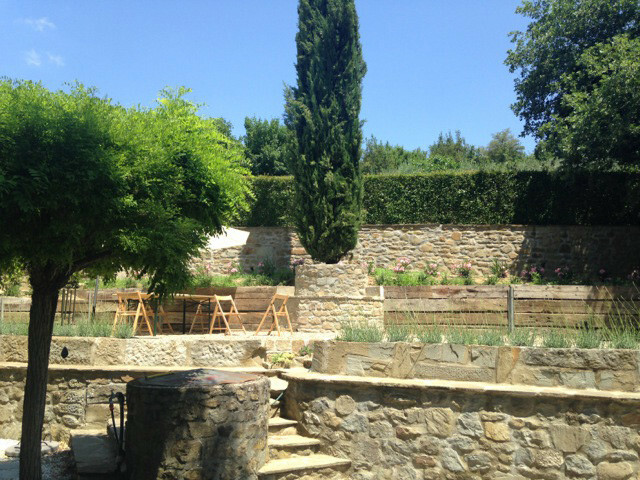 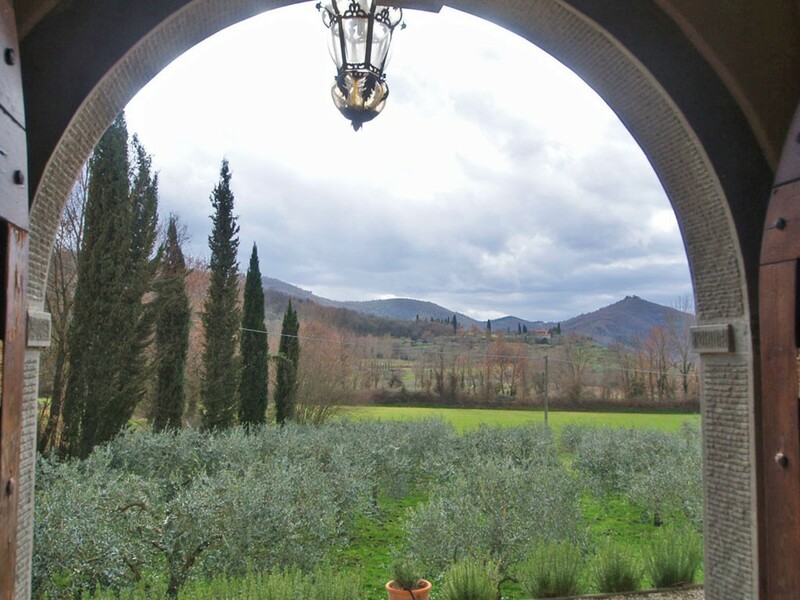 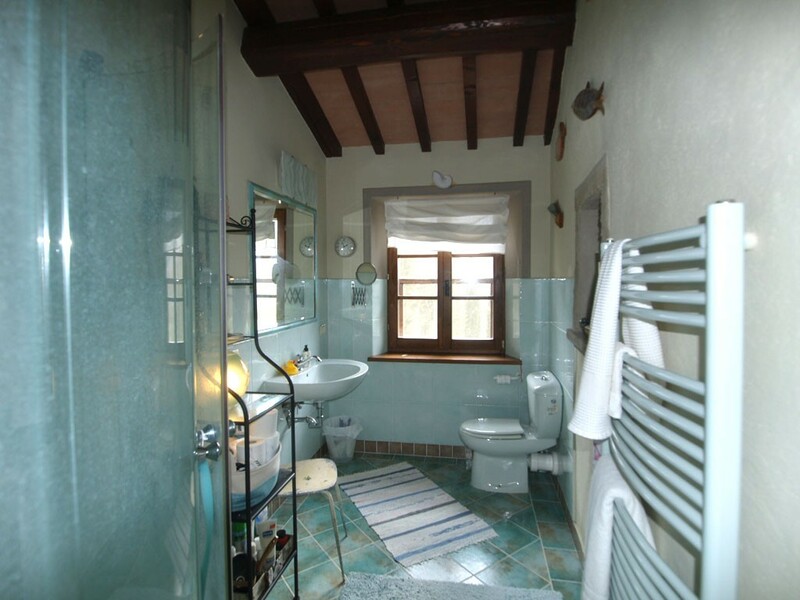 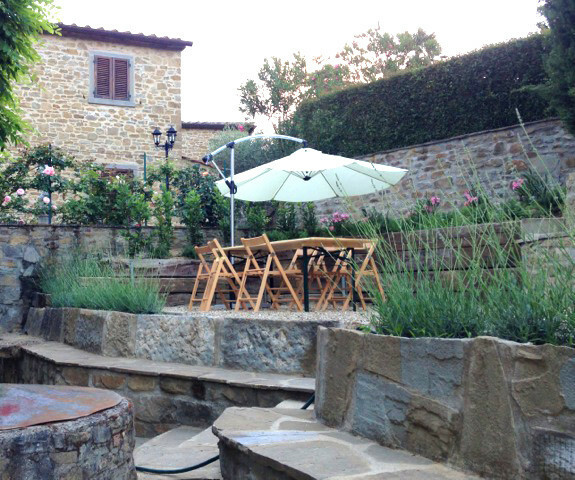 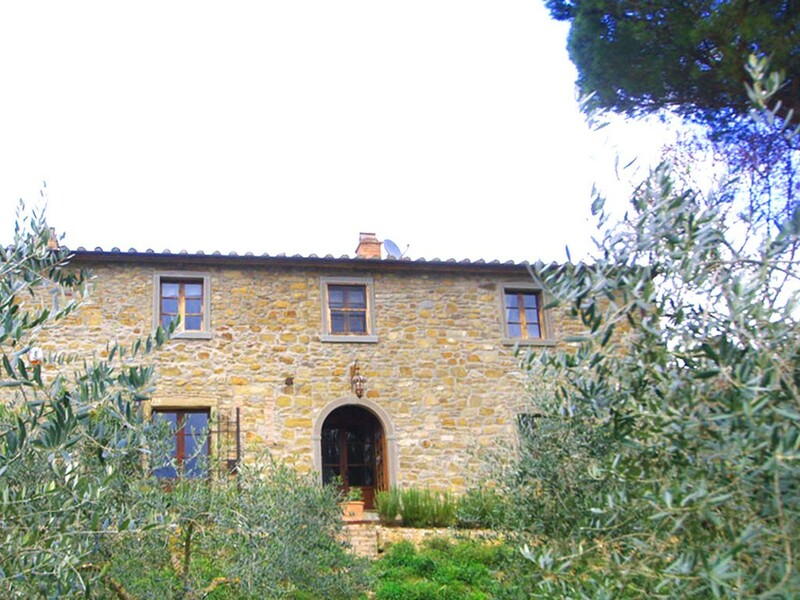 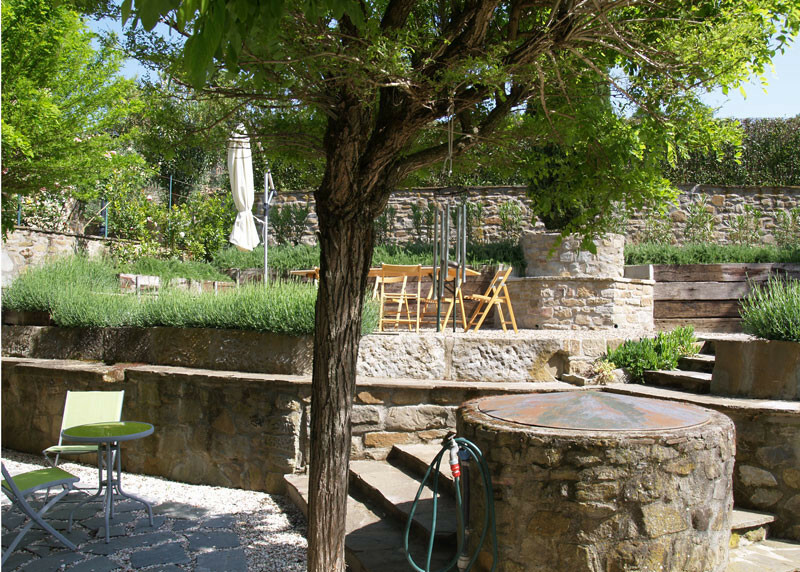 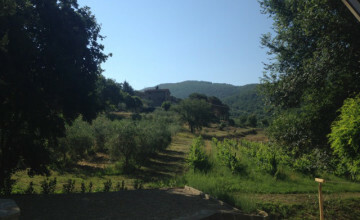 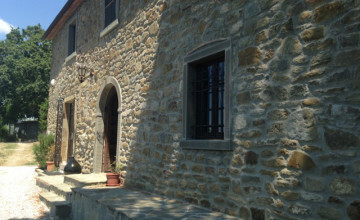 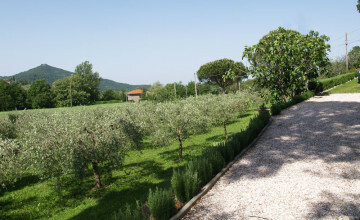 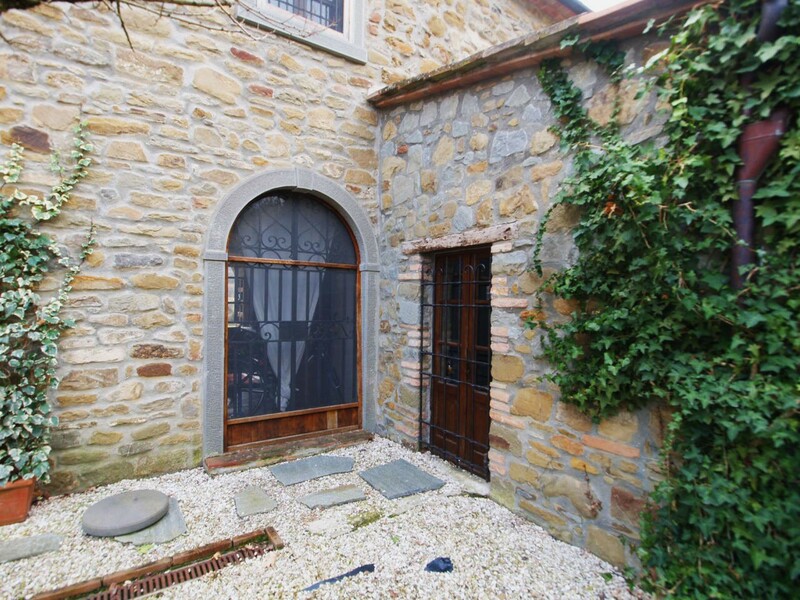 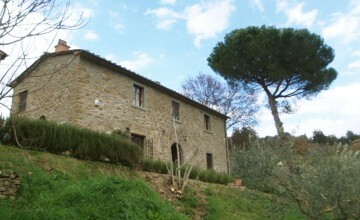 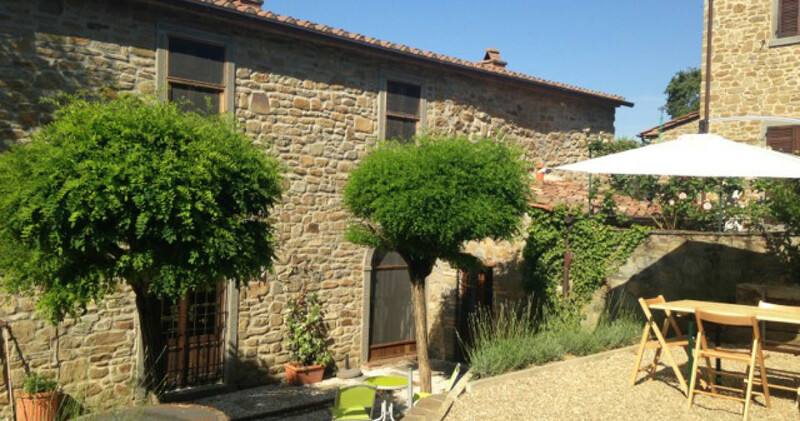 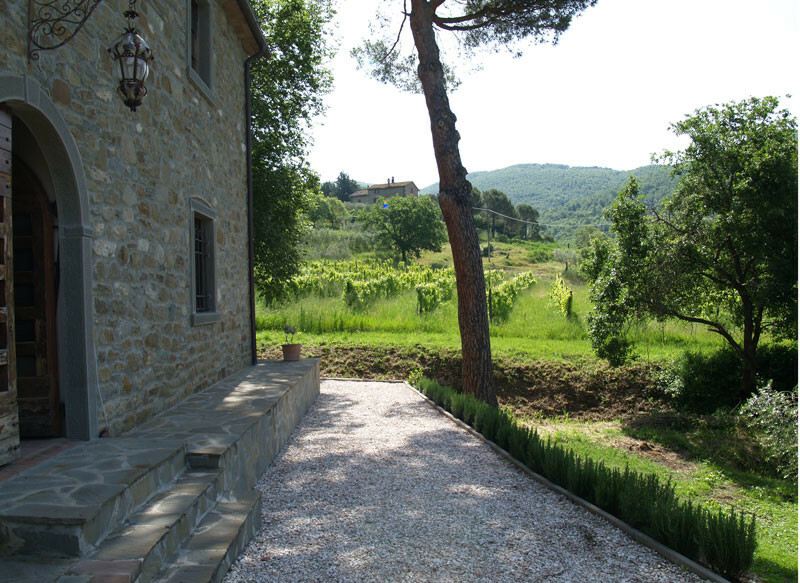 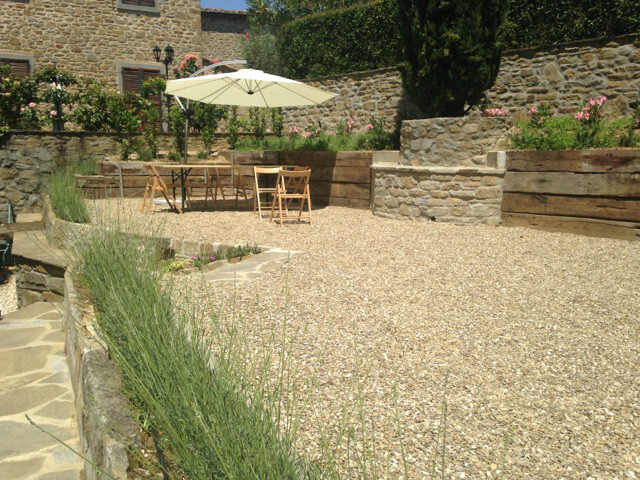 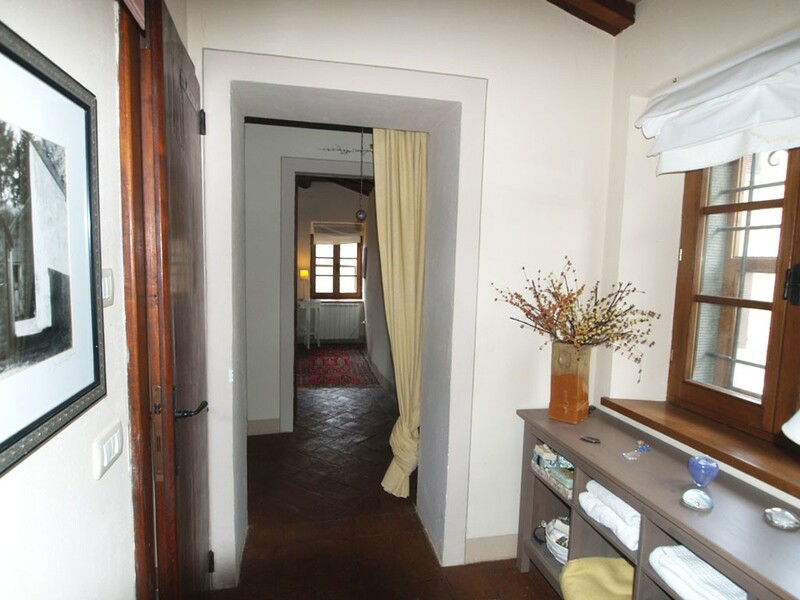 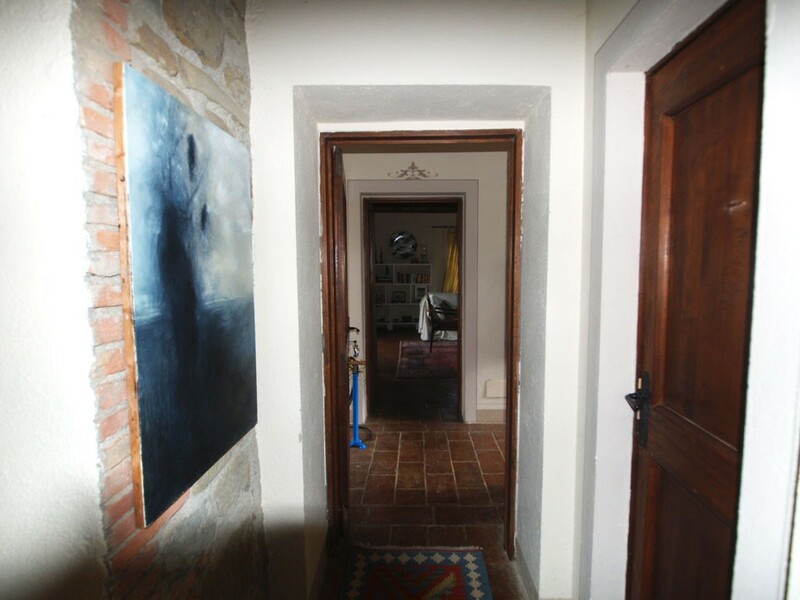 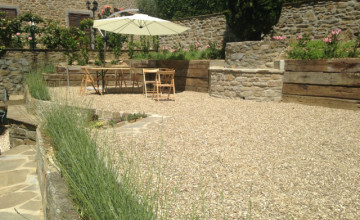 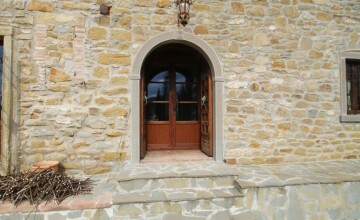 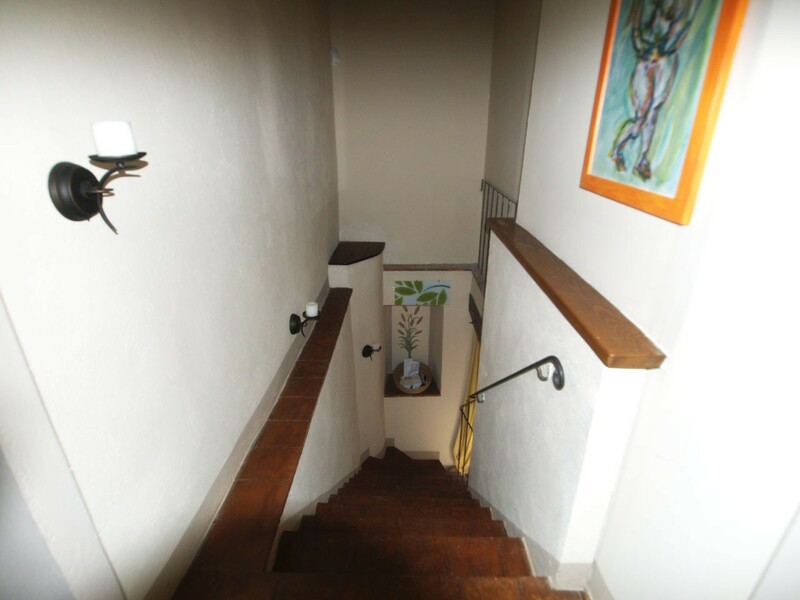 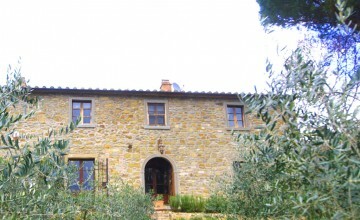 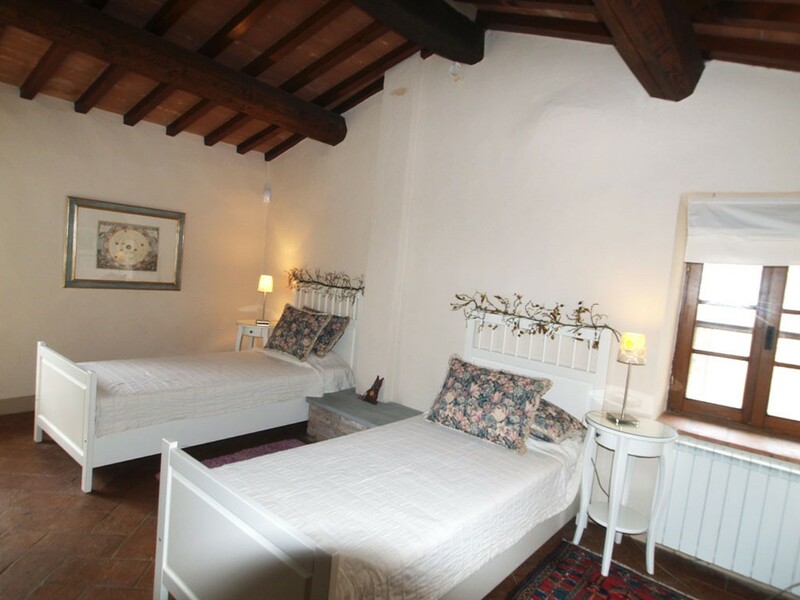 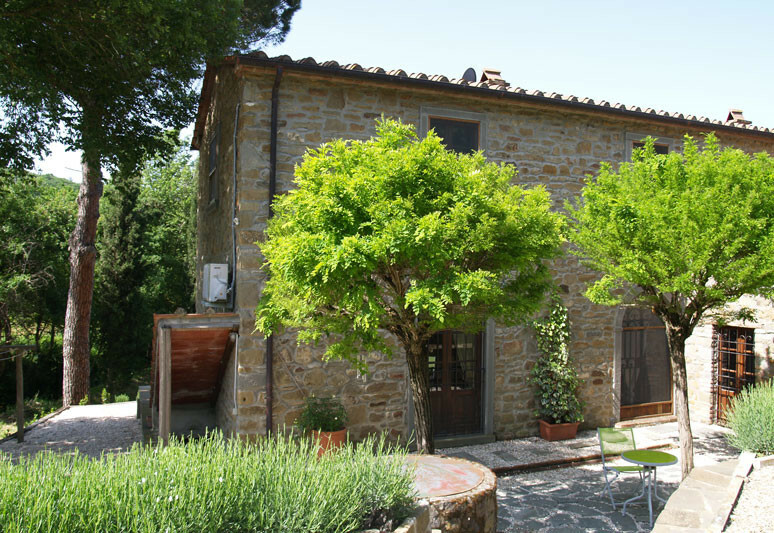 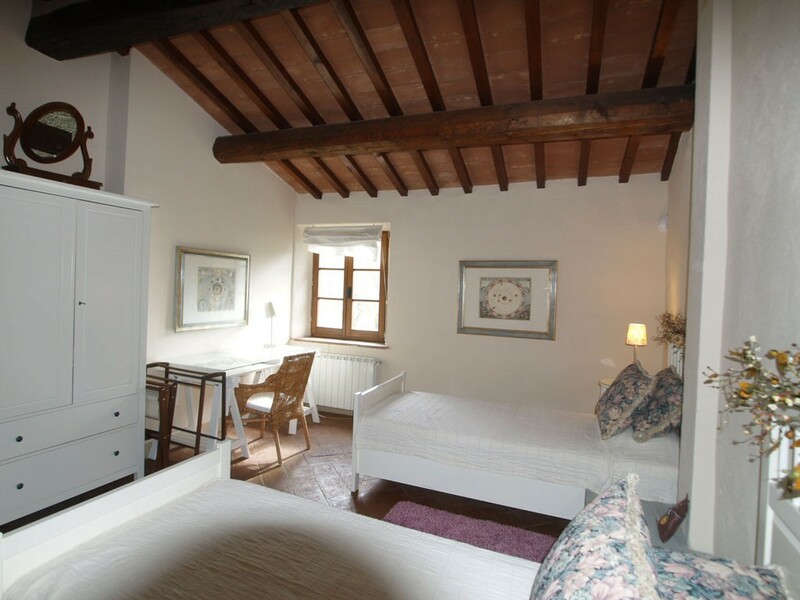 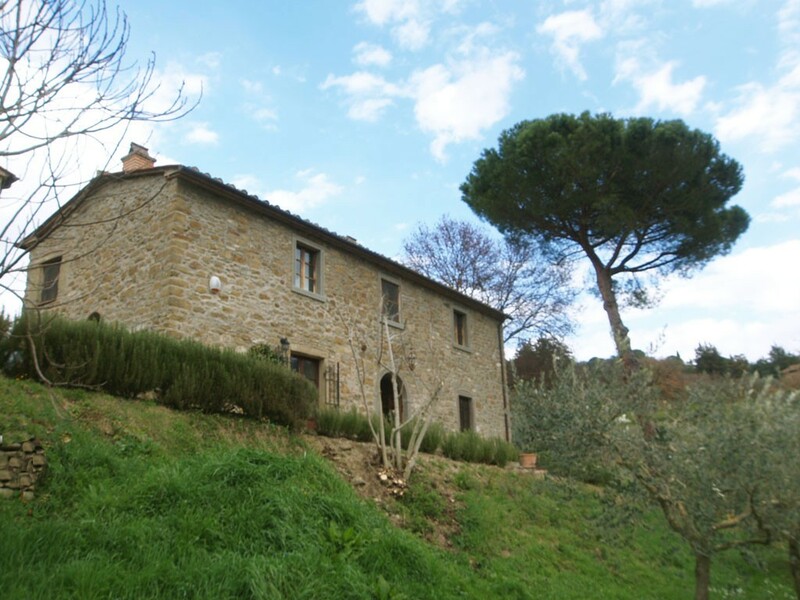 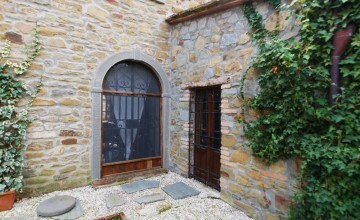 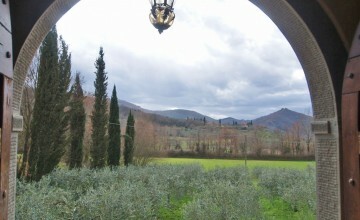 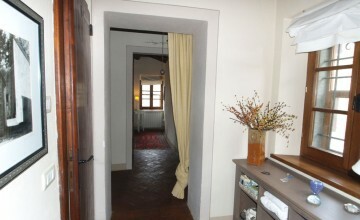 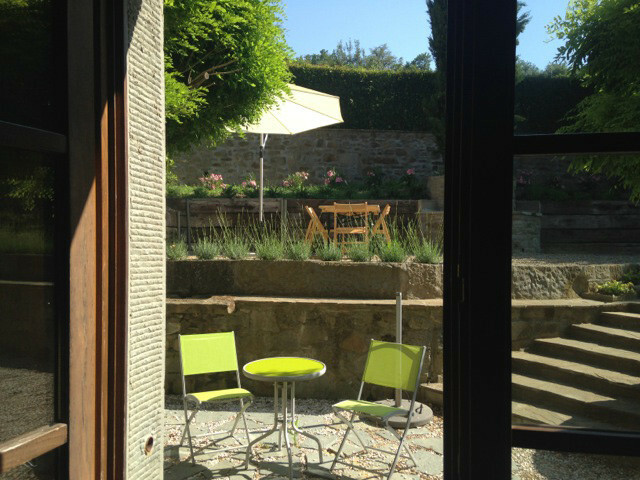 This charming property is located on the border of Tuscany and Umbria, in a beautiful valley with Piazzano on one part and Pergo di Cortona on the other. 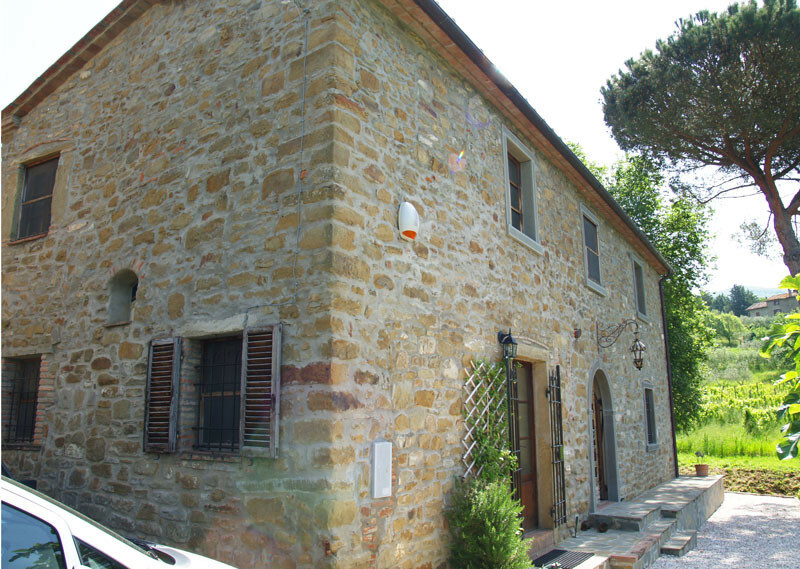 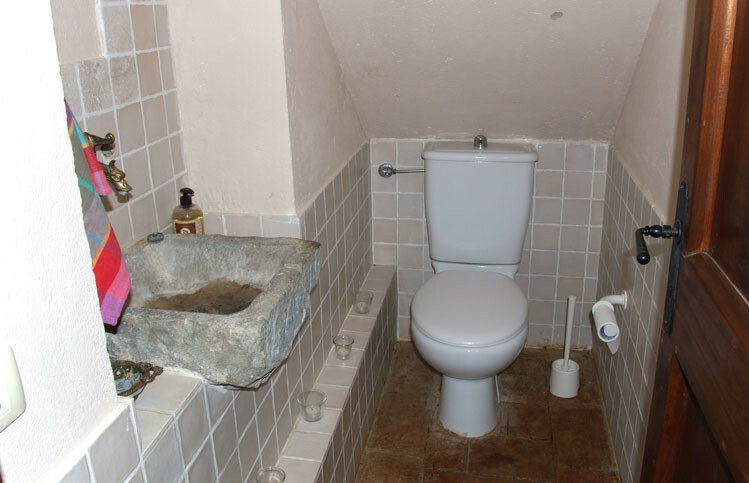 The house is part of a small hamlet counting five restored and perfectly maintained stone houses, owned by Italians and foreigners, who either re-located here or spent several months of the year. 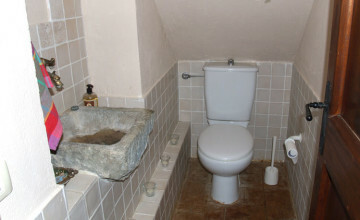 The building measures approx. 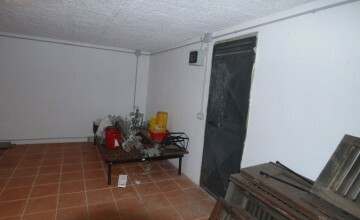 165 sq.m. 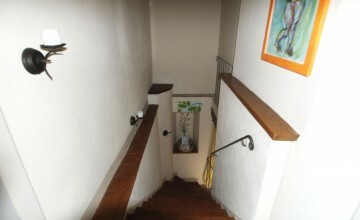 on two levels plus cellar. 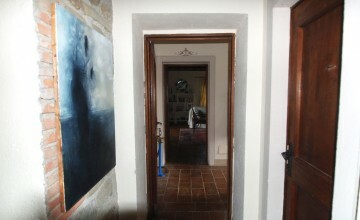 The ground floor with several accesses to the garden, features eat-in-kitchen, large sitting room, guest bathroom and another room which could become a separate dining area or study. 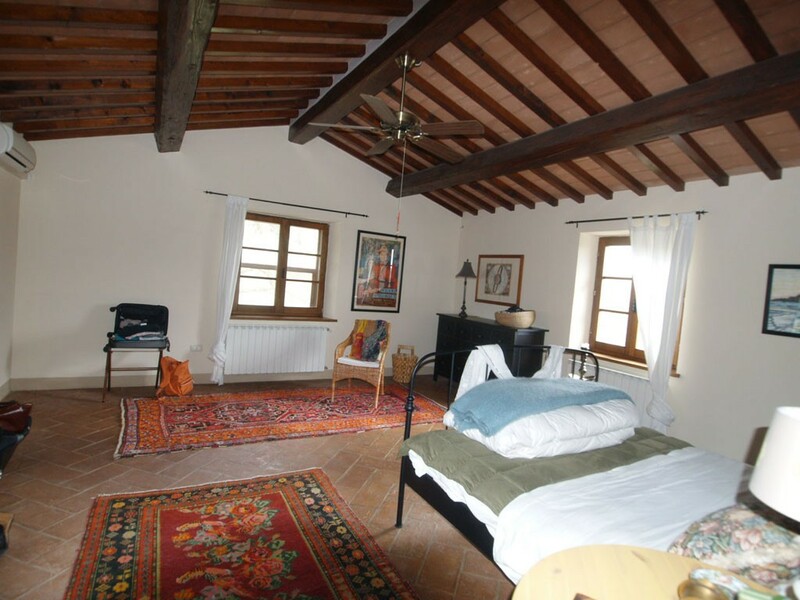 First floor (upper) counts two large bedrooms full of light (one has two windows and the other three – quite unusual for farmhouses in this area and a bathroom. 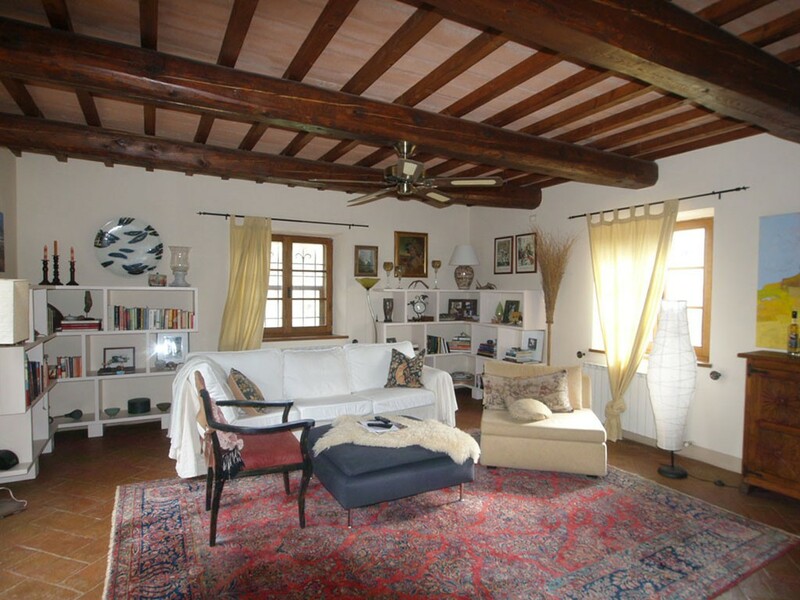 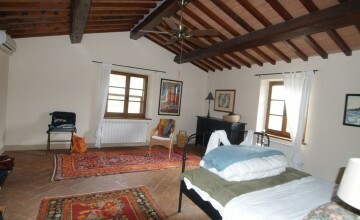 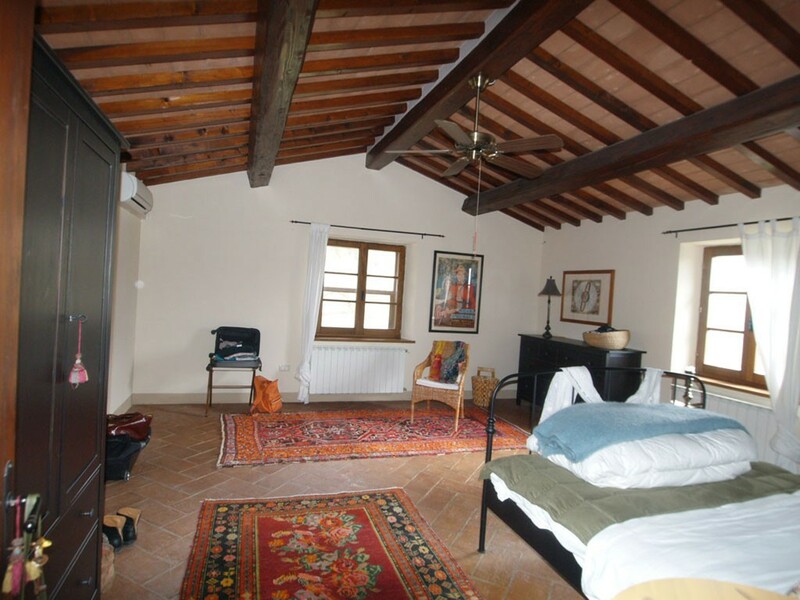 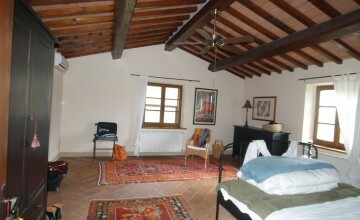 Floors are in hand made terracotta tiles and the ceilings have exposed beams. 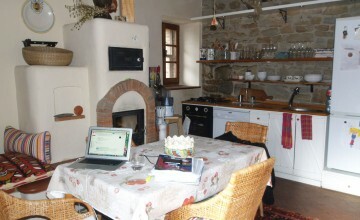 There is a large wood stove in the kitchen, which not only heats the entire house, but can also has an oven drawer. 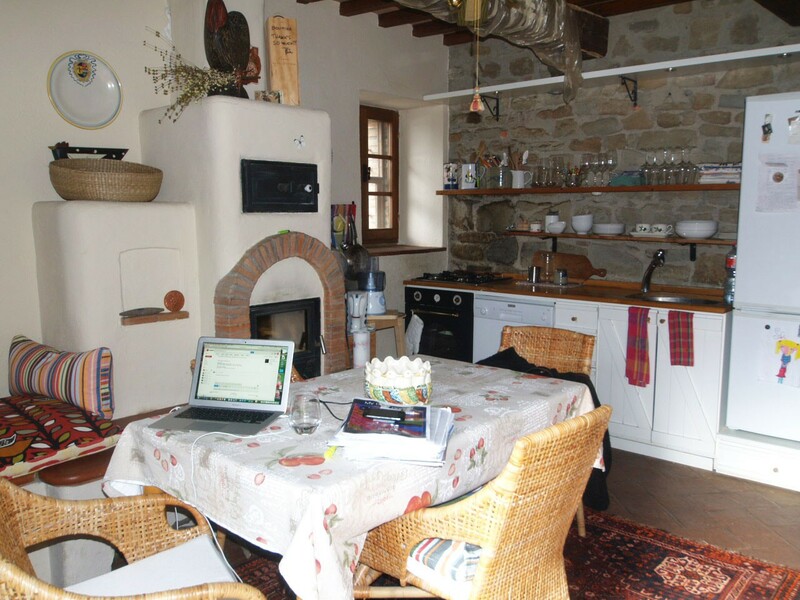 The kitchen is fully equipped and well arranged. 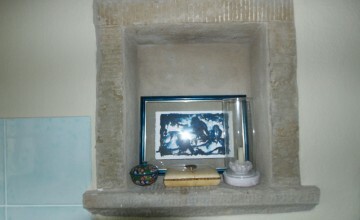 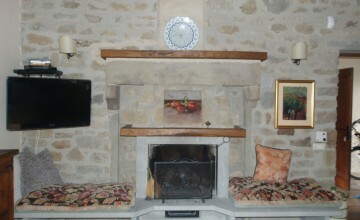 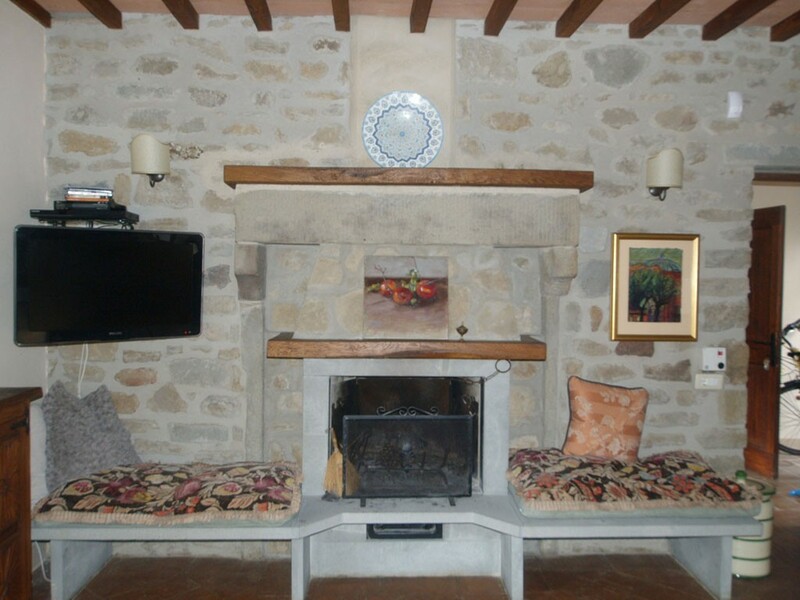 The sitting room features open fire place in local stone. 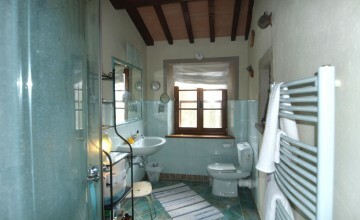 Both bathrooms are nicely decorated. 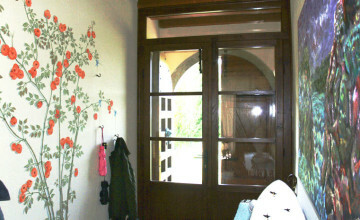 Windows are double glazed with hand made artisan mosquito nets. 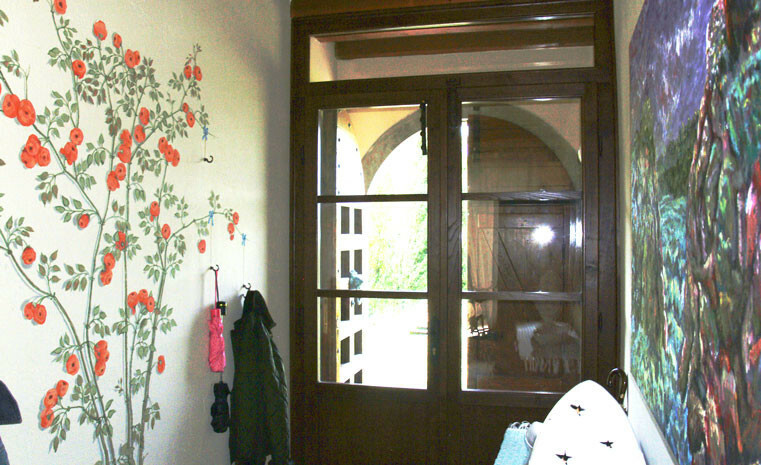 All doors and windows on the ground floor have hand casted iron bars. 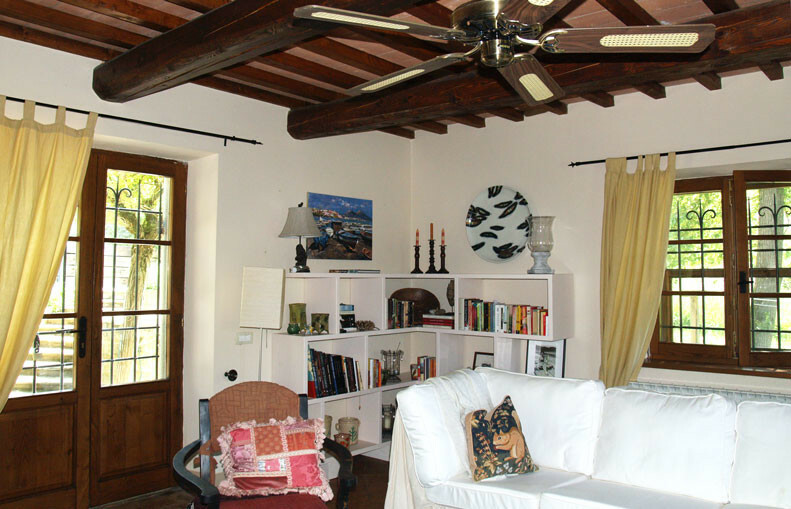 There are ceiling fans in the sitting room and kitchen, while the master bedroom is fitted with air-conditioning. 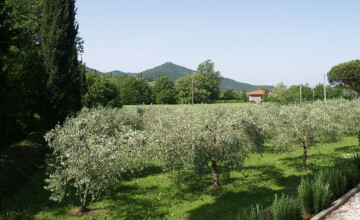 The land measures almost 300 sq.m. 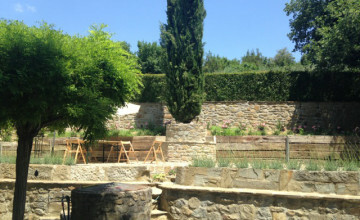 with two smaller areas in the front and one on the side and a large garden in the back. 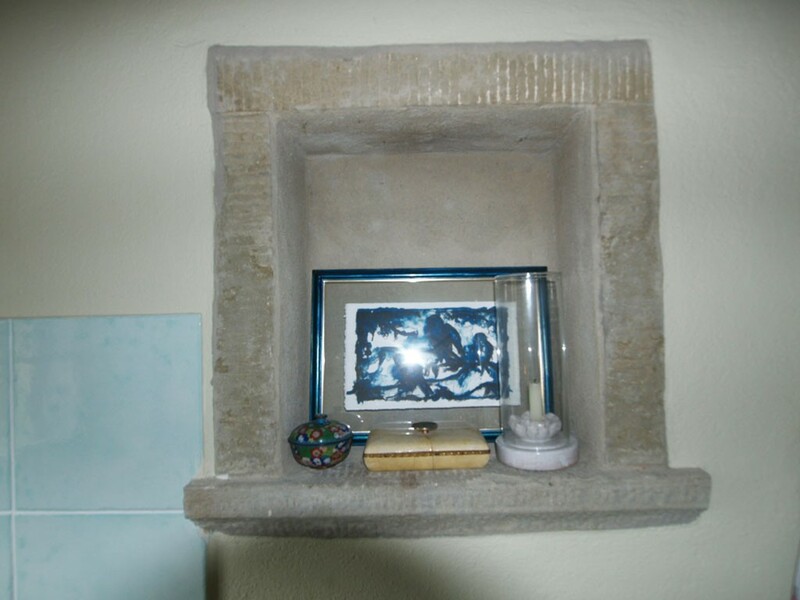 It develops on two levels. 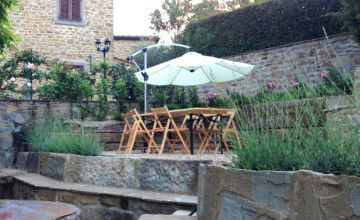 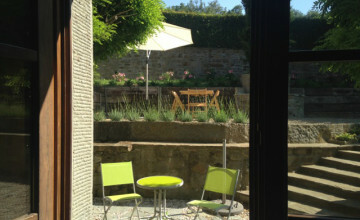 Nicely designed and requiring little maintenance it offers several spots for outside dining and relax in total privacy. 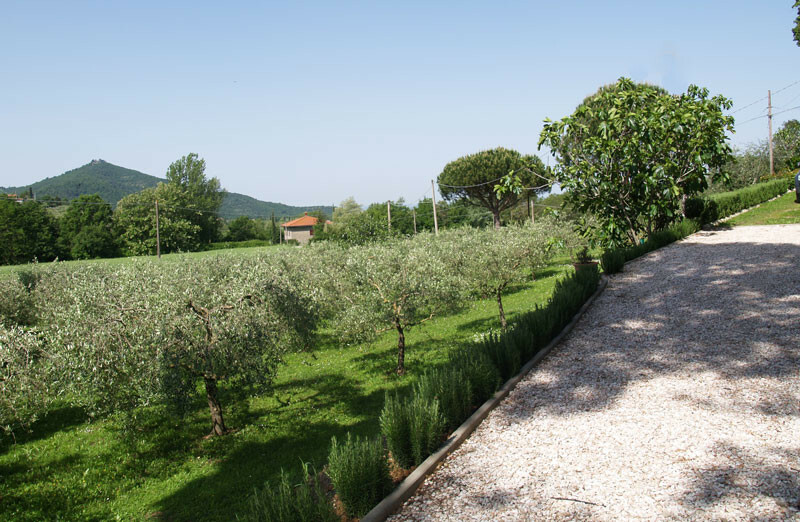 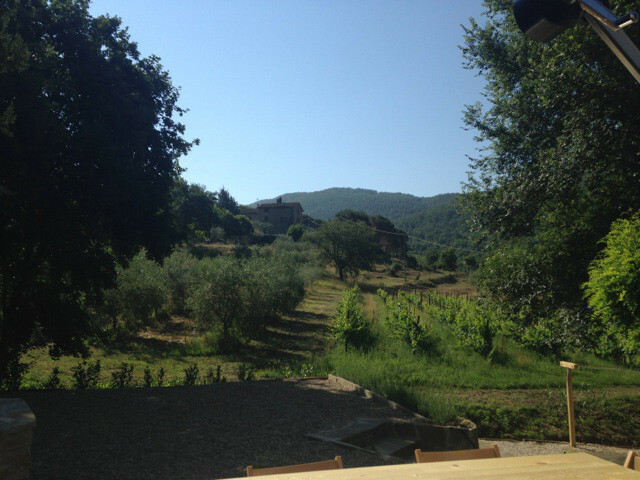 The views of the surrounding olive groves and vineyards, populated by a large number of birds which twit all day round make this place even more magic. 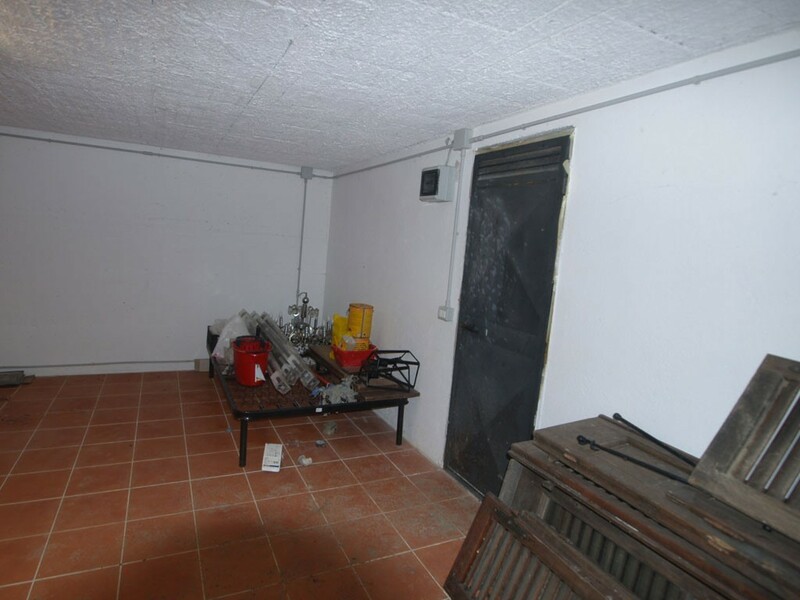 The large and dry cellar with almost constant temperature all year round offers plenty of space for storage. 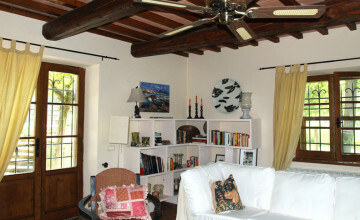 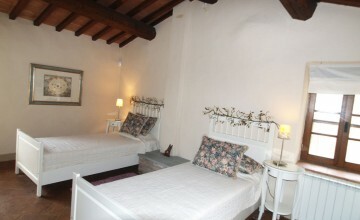 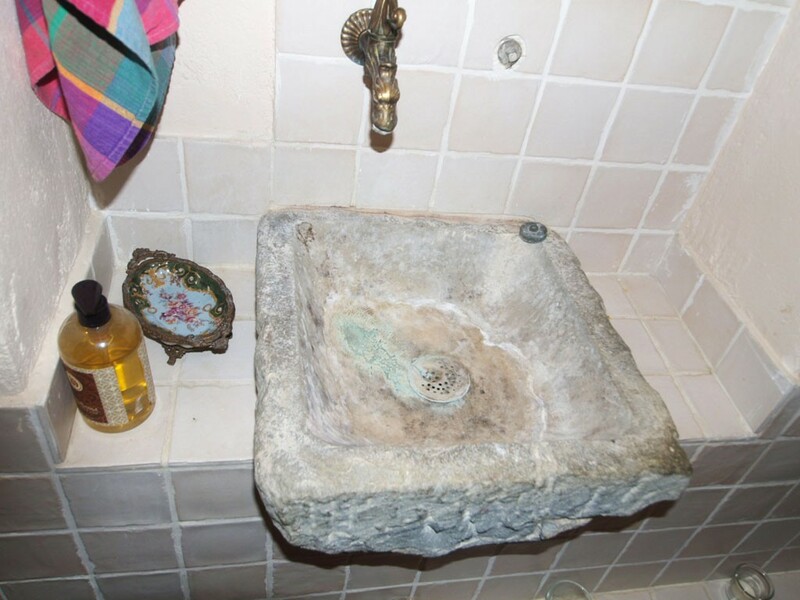 Utilities include heating, LPG gas, air conditioning, Wi-Fi, TV Sat, artisan well, electricity and alarm system. 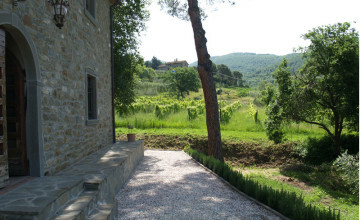 The property is in perfect conditions. 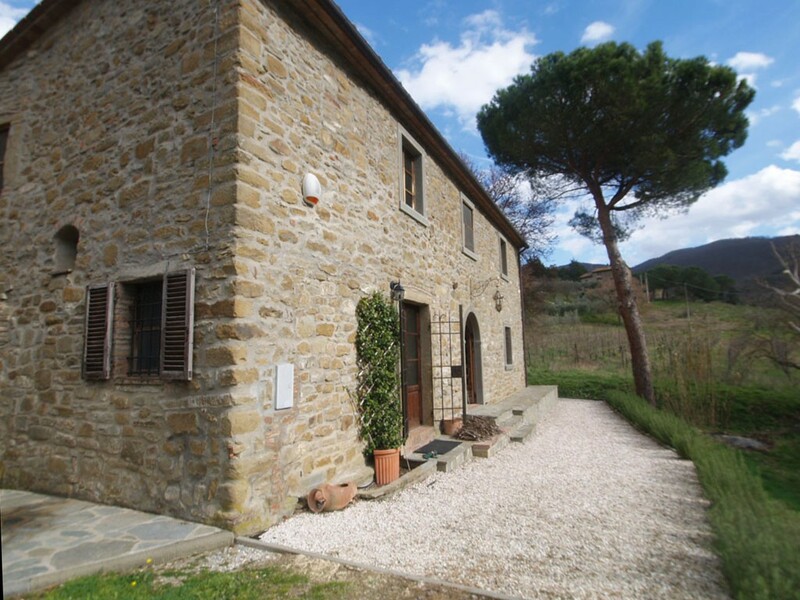 Requiring very little maintenance and being part of a hamlet where some families live all year round it is perfect also as a holiday house, which can be left without worries for several months. 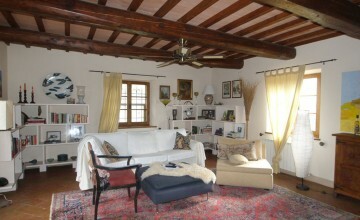 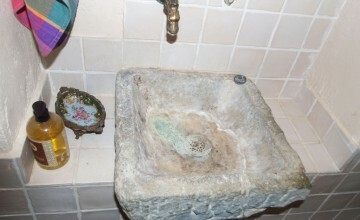 The house, decorated with great taste, is being sold partially furnished.